As an adult, it can be surprising to discover which famous actors were voicing beloved animated characters. Who knew that Orson Welles voiced an evil Transformer god, J.K. Simmons was the Yellow M&M, or that Vin Diesel played everyone's favorite monosyllabic colossus -- twice? But if you thought that the recent hiring of Nicolas Cage as the noir Spider-Man in Enter The Spider-Verse was the weirdest pairing of intense actors with a whimsical kids movie, Nickelodeon has that beat. This week, it was announced that Benicio Del Toro will be joining the live-action movie of the charmingly bilingual animated education show Dora The Explorer. While the movie has already been shot, Del Toro will be providing the voice of the CGI fox Swiper. 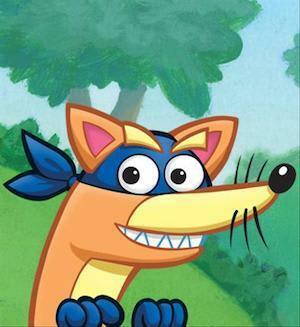 Now, for any reader who isn't a parent or doesn't get high while watching kids cartoons, Swiper is the main antagonist to Dora's exploring endeavors. A thief who covets every single item Dora happens to be holding, he will often sneak up to Dora to steal plot-important items, then chuck them into the grass while shouting, "You'll never find it now!" Dora can prevent this by repeating the words "Swiper, no swiping!" which shames him into going, "Aw man!" and retreating. As a side note, how the hell are they going to make a two-hour movie out of this? It's not unusual for big-name actors to start making (and hating) movies their young kids can enjoy, but casting Del Toro is still a weird choice for the DCU (Dora Cinematic Universe). Not only has he built a long career out of playing unsettling, intimidating characters who look at you like they're figuring out how best to kill you in your sleep, but he's also famous for some of the weirdest and mumbliest vocal choices in film. Then again, he might just be the kind of eccentrically sinister actor a character like Swiper has been waiting for his entire animated life. Think about it. Not only is Swiper some sort of demonic presence that needs chanting to banish, but he's also chaotic and a nihilist. He's the kind of criminal who'd steal whatever the hero was holding, only to then throw it away. Maybe that's because, for him, the villainy is its own reward. He's not a fox with a plan, he just does things. Dora has plans. The Map has plans. (Hell, he IS a plan.) They're schemers who are trying to control their little animated world. All Swiper does is show Dora how pathetic her attempts to control things really are. Swiper? He just wants to watch the world burn. So yeah, maybe Del Toro isn't such inappropriate casting after all. For more, check out Students Take Down Statue Of Famous Racist, Uh, Gandhi? and Who's The Girl With The Spider-Robot In 'Spider-Verse'?